Apple Music is available through your browser – so long as you know where to look. The streaming service from the Cupertino tech giants hasn't officially got support for a browser based version, instead relying on iTunes integration and mobile apps. But a Reddit user has discovered a tool that fills the gap, if a little clumsily. If you jump into the Apple Music tool for marketers, and then use your Apple Music ID to sign in, you'll be offered full versions of songs where the browser usually only offers preview clips. The entire catalogue is available for searching through too. Head over to https://tools.applemusic.com/ to give it a try – there's even a selection of Apple-approved playlists waiting on its makeshift homepage. 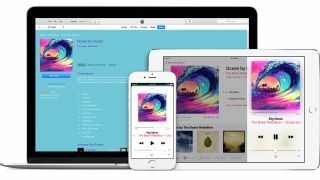 Now, of course, if you're using iTunes, you can already access Apple Music on a computer – it's not simply limited to mobile devices by default. However, if you're on a work machine tied to a corporate network, you may not be easily able to get access to iTunes. In this case, being able to sign into Apple Music through a browser may be the only way to cheekily listen to your tunes while you work away. The fact that Apple hasn't made an official option to access Apple Music through a browser is a frustrating one, particularly considering rivals like Spotify and Tidal offer relatively fully featured tools for doing just the same. This backdoor isn't ideal, and may be closed soon, but it's a start.